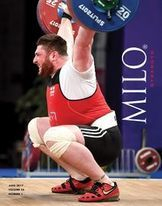 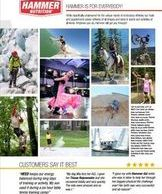 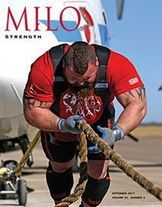 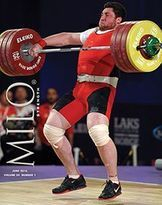 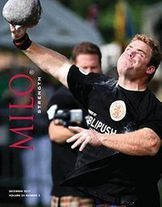 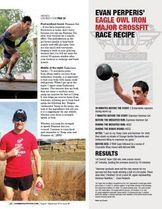 Our athletes have been featured in a variety of magazines most available in both print and hard copy. 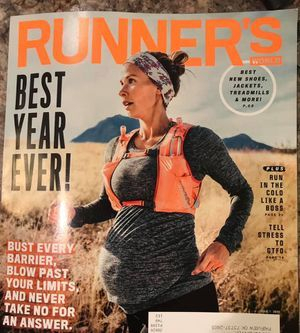 Randi Lackey made it into the first issue of Runner's World in 2019 showing her crossing the finish line of the Oklahoma City Marathon in the orange/pink top stopping her watch. 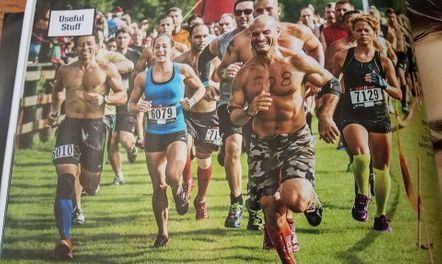 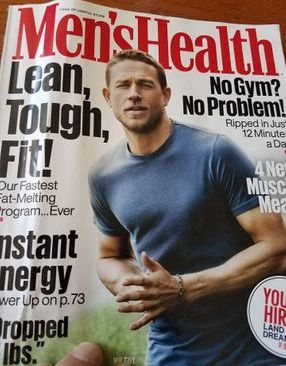 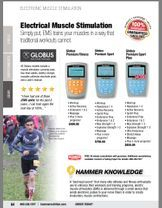 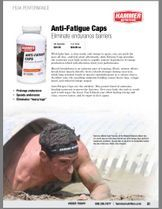 Ashley Samples had here photo in Men's Health Magazine as an intro photo in a feature about Obstacle Course Racing. 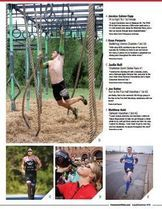 Ashley Samples featured in a several page article for FIT Nation about females in Obstacle Course Racing called Down and Dirty. 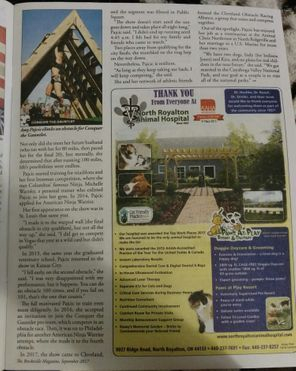 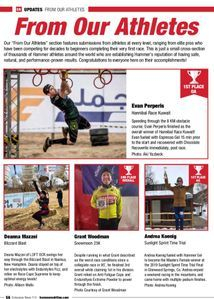 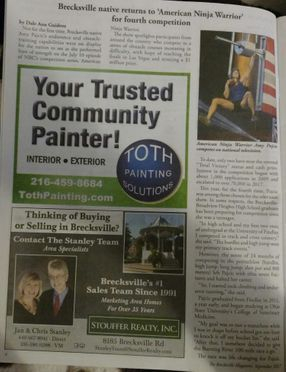 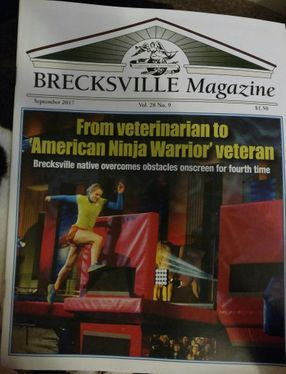 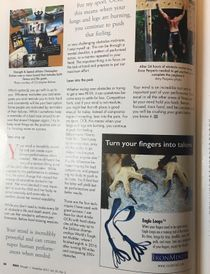 Amy Pajcic was featured in Brecksville Magazine for her performances on American Ninja Warrior and her results at Conquer The Gauntlet. 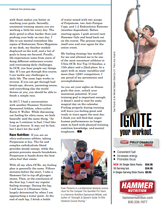 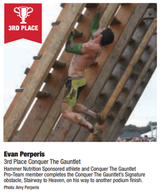 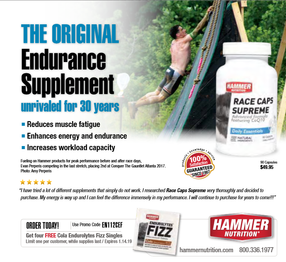 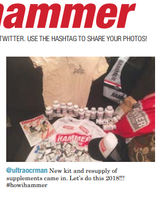 Evan Perperis has been featured in several issues of Endurance News magazine for his fueling tips and techniques as well as top finishes at Conquer The Gauntlet races, BattleFrog Xtreme races and record setting Ultra-OCR Challenges such as OCR America. 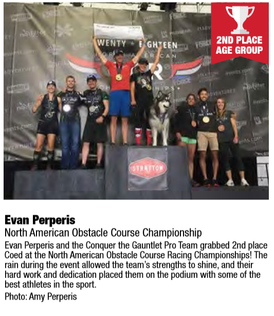 Additionally, Vol 112 featured Amy Pajcic, Matt Willis and Evan Perperis in their 2nd place finish at North American OCR Championships (NORAM) in the Pro Coed division. 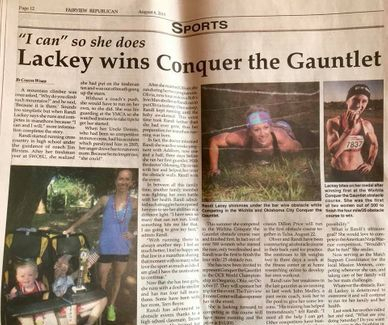 Randi Lackey receives a full page story for her multiple wins at Conquer The Gauntlet. 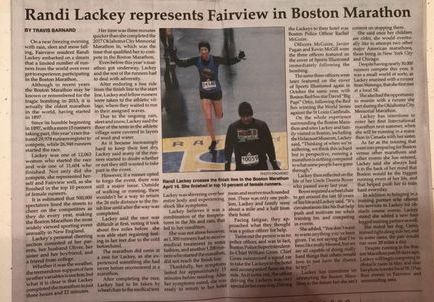 Randi in another Fairview Republican article about being the cities first athlete to run in the Boston Marathon (from 2018). 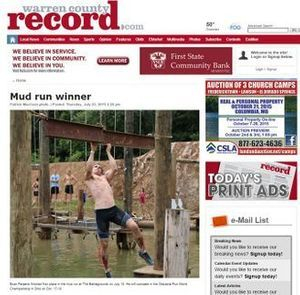 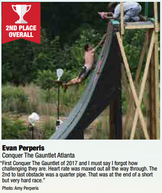 Evan Perperis gets a photo and some quotes in the Warren Country Record (avaialble in digital and print) after his first place win at Mud Run Guide's Summer Splash in 2015. 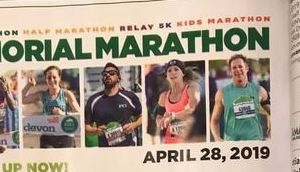 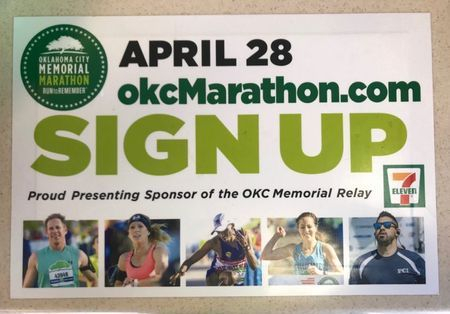 Randi Lackey in the flyer and posters for the 2019 Oklahoma City Marathon.